Autunm Cream is a Natural material. 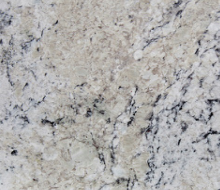 Autunm Cream is a Low priced Granite stone. Autumn Cream is mostly light grey/white with some black within it. This material can be found in both traditional and modern kitchen designs. If you’re after a light granite and this is not quite right, please ask to take a look at Viscount White, Kinawa White or New Kashmir White as alternatives. Autunm Cream is a Natural Granite from Brazil, Landford Stone offer this type of stone in a variety of thicknesses and finishes. Autunm Cream is a Low priced stone and will look incredible in your home!